The International Air Transport Association (IATA) revised its 2016 financial outlook for global air transport industry profits upwards to $39.4 billion (from $36.3 forecast in December 2015). That is expected to be generated on revenues of $709 billion for an aggregate net profit margin of 5.6%. 2016 is expected to be the fifth consecutive year of improving aggregate industry profits. In 2015 airlines generated a global aggregate profit of $35.3 billion (re-stated from $33.0 billion estimated in December 2015). All regions are making a contribution to the $4.1 billion boost over 2015 profits with improved results; but there are stark regional differences in performance. Over half of the industry profits will be generated in North America ($22.9 billion) while African carriers are forecast to continue generating an overall loss (-$0.5 billion). “Lower oil prices are certainly helping—though tempered by hedging and exchange rates. In fact, we are probably nearing the peak of the positive stimulus from lower prices. Performance, however, is being bolstered by the hard work of airlines. Load factors are at record levels. New value streams are increasing ancillary revenues. And joint ventures and other forms of cooperation are improving efficiency and increasing consumer choice while fostering robust competition. 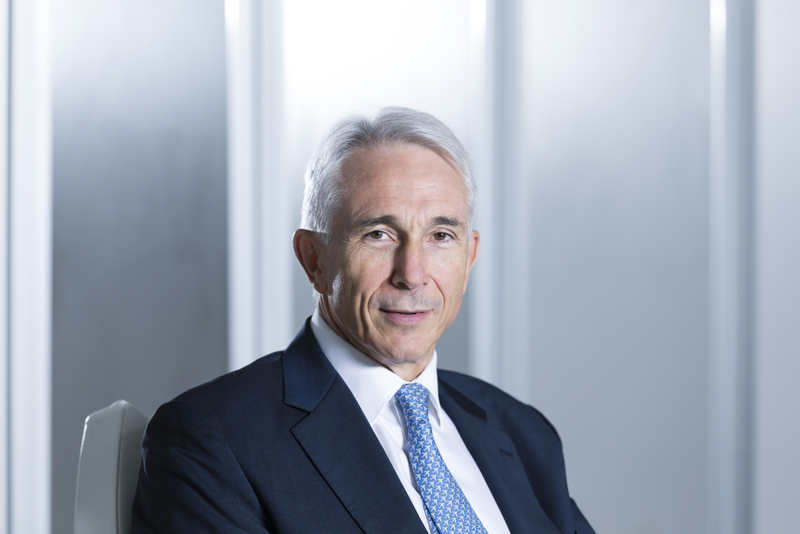 The result: consumers are getting a great deal and investors are finally beginning to see the rewards they deserve,” said Tony Tyler, IATA’s Director General and CEO. On average, airlines will make $10.42 for each passenger carried. “In Dublin, that’s enough to buy four double-espressos at Starbucks. Looked at from a different angle Starbucks will earn about $11 for every $100 in sales while airlines will make $5.60. We don’t begrudge Starbucks their profitability. But there is clearly still upside for airline profits,” said Tyler. For the second year in a row and only the second time in the airline industry’s history, the return on invested capital (9.8%) will exceed the cost of capital (estimated to be 6.8%). This is the minimum expectation level for investors. The airline industry is beginning to generate profits that would be expected of any normal business. “The job of shoring up resilience by repairing balance sheets is under way. We have had a few years of good profits and some airlines have started to pay down debt. It will, however, take a longer run of profits before balance sheets are returned to full health,” said Tyler. Repaying accumulated debt will take several years of profitability to achieve. Airlines in North America and in some parts of Europe have seen the gearing of their balance sheets fall towards investment grade levels. But for much of the rest of the industry, it is a continuing challenge. “Airlines are producing solid results even with some strong economic headwinds. It’s an impressive performance and the mood of the industry is generally optimistic,” said Tyler. Oil Prices: The outlook is based on oil averaging $45/barrel (Brent) over the course of the year which is significantly lower than the $53.9 average price in 2015. The full impact of lower fuel prices is still being realized as hedges mature. Overall, fuel is expected to represent 19.7% of the industry’s expenses, down from a recent high of 33.1% in 2012-2013. The Global Economy: Weak economic conditions prevail. GDP is expected to expand by 2.3% in 2016. That is down from 2.4% in 2015 and the weakest growth since 2008 when the global financial crisis hit. Consumer spending is relatively strong, but the corporate sector is conserving cash and, despite some easing of government austerity budgets and low interest rates, there is little evidence of an acceleration in infrastructure spending. Passenger Demand: Passenger demand is robust with 6.2% growth expected in 2016. That is, however, a slowdown from the 7.4% growth recorded in 2015. Capacity is expected to grow slightly ahead of demand at 6.8%. Load factors are expected to remain high (80.0%), but with a slight slip from 2015 (80.4%). Yields are expected to fall by 7.0%. Unit costs, driven by lower fuel prices, are expected to fall by 7.7%. Overall the passenger business is projected to generate $511 billion in revenues, down from $518 billion in 2015. Cargo: The cargo side of the business remains in the doldrums with 2.1% growth in demand. Airlines are growing their fleets with long-haul wide-body aircraft to meet strong passenger demand growth. This adds cargo capacity to a flat air cargo market. Cargo yields are expected to fall by 8.0% this year. Overall cargo is expected to generate $49.6 billion in revenues, down from $52.8 billion in 2015. North American carriers continue to deliver the industry’s strongest financial performance with an expected net profit of $22.9 billion which is an improvement on the $21.5 billion reported for 2015. Passenger capacity is expected to expand by 4.3% in 2016, marginally outpacing an anticipated 4.0% increase in demand, but load factors are forecast to remain well above break-even levels. Cash flow has been sufficient for airlines in this region to improve balance sheets significantly by repaying debt, and return cash to shareholders through dividends and share buy-backs. European airlines are expected to post a $7.5 billion profit in 2016 (up from $7.4 billion in 2015). Passenger capacity is forecast to grow by 5.8%, ahead of expected demand growth of 4.9%. Terror incidents have had a dampening effect on demand in some key tourist centers. It is difficult to describe the state of European carriers as uniform. The major groupings have seen solid improvement based on stronger long-haul markets, while many small- and medium-sized carriers continue to struggle. Competition is intense (particularly on intra-Europe routes) and the burdens of high taxes, onerous regulation and inefficient infrastructure (particularly air traffic management) have yet to be meaningfully addressed. Additionally, for many carriers there is a wide gap between the expectations of labor and management. Airlines in Asia-Pacific are expected to post a $7.8 billion profit in 2016, up from $7.2 billion in 2015. Capacity is forecast to expand by 9.1% in 2016, ahead of demand which is likely to grow by 8.5%. Asia-Pacific carriers have a 40% share of global air cargo markets. As a result they continue to feel the brunt of stagnation in this sector, which is holding back the improvement in financial performance. Challenges include intense competition as the budget sector expands, restructuring in the Chinese economy and continuing infrastructure and cost difficulties in the Indian market. Middle East carriers are expected to post a $1.6 billion profit, up slightly on the $1.4 billion reported for 2015. Capacity is forecast to grow at 12.2%, outpacing an expected 11.2% expansion of demand. Efficient hubs continue to gain market share on connecting markets for the region’s major carriers, although local markets have been weakened by the impact of falling commodity revenues. Economic changes in the region’s oil economies are manifesting themselves in a spate of increases of charges and taxes which could dampen the region’s cost competitiveness. Airlines in Latin America are expected to see a $100 million profit in 2016 after a $1.5 billion loss in 2015. Demand is expected to grow by 4.2% while carriers are forecast to add 3.7% to capacity. Two of the region’s major economies—Brazil and Venezuela—continue in a deep economic and political crisis. The region has been hit disproportionately by the fall in commodity prices and revenues, which led to foreign exchange crises to add to the economic difficulties. Such has been the falling of exchange rates in Brazil and other major commodity economies in the region that airlines have seen hardly any decline of fuel costs in local currencies, while outbound residents have suffered a dramatic decline in purchasing power overseas. African airlines are expected to post a $500 million loss in 2016, a slight improvement on the $700 million that the region’s carriers lost in 2015. Capacity growth (5.3%) is anticipated to outpace demand growth of 4.5%. Carriers in the region continue to confront a plethora of challenges including intense competition on long-haul routes, political barriers to growing intra-Africa traffic, high costs and infrastructure deficiencies. In addition many major economies in the continent have been hit hard by the collapse of commodity prices, and the impact that has had on revenues and the inflow of hard currencies. Unresolved foreign exchange crises are adding to the economic difficulties facing airlines in this region. Consumer benefits from the industry’s improved performance are significant. In 2016 the average return airfare (before surcharges and taxes) is expected to be $366 which is a 62% reduction on 1995 levels (after adjusting for inflation). Passenger numbers are expected to reach 3.8 billion. And the network of unique city pairs will reach 18,243. The number of direct airline jobs is expected to rise by 2.8% in 2016 to 2.61 million. The total airline payroll in 2015 is expected to reach $153 billion (up 6.4% from $144 billion in 2015). Compared with 2015, average unit labor costs are expected to rise by 0.1% as productivity per employee improves 3.4%. Airline employees are also extremely productive for the economies in which they work, generating gross value added (GVA—the company level equivalent to GDP) of $100,186 per employee in 2016 (up 5.3% on 2015). The industry tax bill is expected to grow to $118 billion in 2016, a 5.5% increase on 2015. Airlines’ environmental performance continues to improve. The industry is on target to meet its goal of improving fuel efficiency by an average of 1.5% annually until 2020. Current analysis shows that on average the sector has improved fuel efficiency by 2.4% per year since 2009, a figure that is expected to normalise in the coming years. Investments in new aircraft are a major driver of fuel efficiency improvements. In 2016, airlines are expected to take delivery of almost 1,900 new aircraft. About half are projected to replace less fuel-efficient older aircraft. The industry remains committed to achieving carbon-neutral growth from 2020. This is in addition to a 1.5% average annual improvement in fuel-efficiency to 2020 and complements the long-term goal of cutting net emissions in half by 2050 (compared with 2005 levels).